Sage authorized consultants from Paragon will team with current Sage FAS customers in three breakout sessions to discuss best practices in fixed asset accounting and management at the Sage Summit 2011 conference. Chicago, IL – July 5, 2011 – Paragon Systems (www.FixedAssetExperts.com), a nationwide provider of Sage FAS Fixed Asset Management software, has announced participation in the Sage Summit 2011 conference as an exhibitor as well as a workshop host. In addition to their display in Booth 733, Paragon will also present three breakout sessions discussing the advantages of fixed asset accounting and management with Sage FAS Software. The conference will be held at the Gaylord National Hotel and Conference Center in Washington, DC. July 10 – 15, 2011. Sage Summit 2011 represents a new format that combines both Sage Authorized Business Partners and Sage customers at the same event. The moment has arrived for all you Sage FAS Asset Accounting users out there (over 300,000 active users). The release of version 2011.1! Yes, it incorporates tax law changes made during the year including the Tax Relief, Unemployment Insurance Reauthorization, and Job Creation Act of 2010 and the Small Business Jobs Act of 2010. This release is only available for CURRENT Sage Support members and new licenses. If you need to renew your support to take advantage of this slick automation and updated depreciation methods and provisions, call me now at (847) 2402981 ext: 164 or shoot me an email with the SUBJECT: RENEW. Updated Tax Forms and Worksheets. The 2011.1 Tax Update includes the updated IRS Form 4562 – Depreciation and Amortization for 2010. Updated Tax Limits. The 2011.1 Tax Update complies with the scheduled updates to the Section 179 limits and luxury auto limits, including changes to allow up to $250,000 of the Section 179 deduction to be claimed for qualified real property. 168 Allowance of 100% for Certain Property. Assets placed in service after September 8, 2010 and before January 1, 2012 can take a 100% bonus deduction. Extension of Tax Provisions. The Tax Relief, Unemployment Insurance Reauthorization, and Job Creation Act of 2010 has extended several tax provisions, such as allowing a 15 year estimated life on qualified leasehold improvements, qualified restaurant property, and qualified retail improvement property. Check for the increased Section 179 limits as stated above. Extend the check for Qualified Restaurant, Leasehold, and Retail Improvement Property. Added a new check for assets that claimed a 50% 168 Allowance when they are eligible to take the increased 100% depreciation allowance. Added a new check for real property that may be qualified for the Section 179 expense deduction. 3. 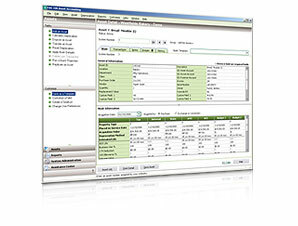 New Sage Timberline Enterprise Link. We have added a new general ledger link that enables you to post depreciation expense and accumulated depreciation from Sage FAS to Sage Timberline Enterprise. NOTE: Please note that no database conversion is required to upgrade from version 2010.1 of Sage FAS to version 2011.1. However, if you are currently using an older version of Sage FAS, you must first upgrade to version 2010.1 before installing Sage FAS version 2011.1. If you DON’T have all the CDs or other material available for versions lower than 2010.1, you need a data schema upgrade. Contact me today for competitive rates.